We will be holding a Premium Chat specifically for National Signing Day! IPS Publisher James Henderson will be in the IPS Chat Room starting at approximately 7:30 am, answering questions from subscribers so make sure you stop by! NOTE: The IPS Chat Room can be accessed two ways. 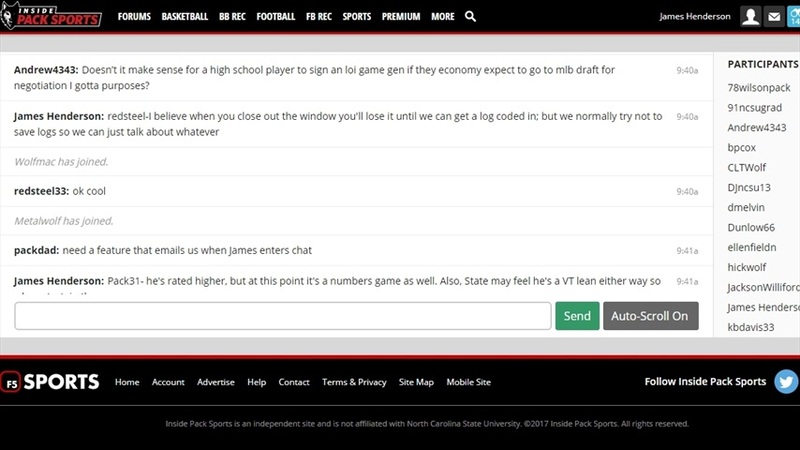 Subscribers can log in by clicking here or by clicking "Chat" underneath the Premium tab located at the top of our homepage. If you have any questions, please contact James Henderson directly at james@insidepacksports.com.